The energy and diversity of a city. The graciousness of a historic suburb. The natural beauty of the shore. And very soon the best commute in metropolitan New York. 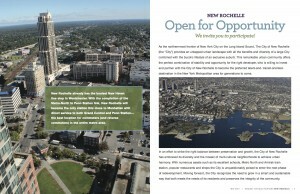 New Rochelle is the next big opportunity. The RFQ draws on New Rochelle’s earlier planning efforts, including our TOD study and transportation analysis. And we are proposing a type of public-private partnership that is new for our city: a “master” development agreement that encompasses multiple sites and permits earlier evaluation of planning concepts and market assumptions. 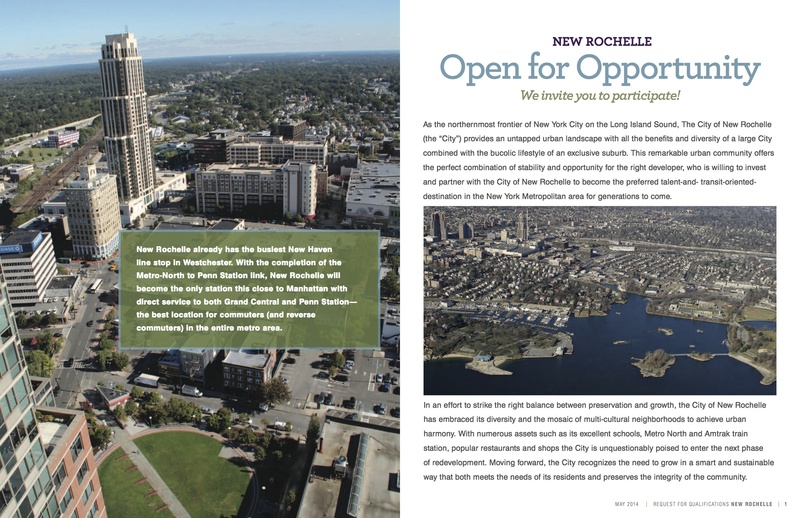 Despite New Rochelle’s impressive assets, and notwithstanding meaningful progress during the past twenty years, our city’s economy is still under-performing. This new effort is a bold stroke to take charge of our future, with the potential to dramatically reshape the city’s downtown. Success will require persistence and a willingness to confront hard choices, but I am optimistic and looking forward to the responses that are due on July 31st. There’s more information at this site.